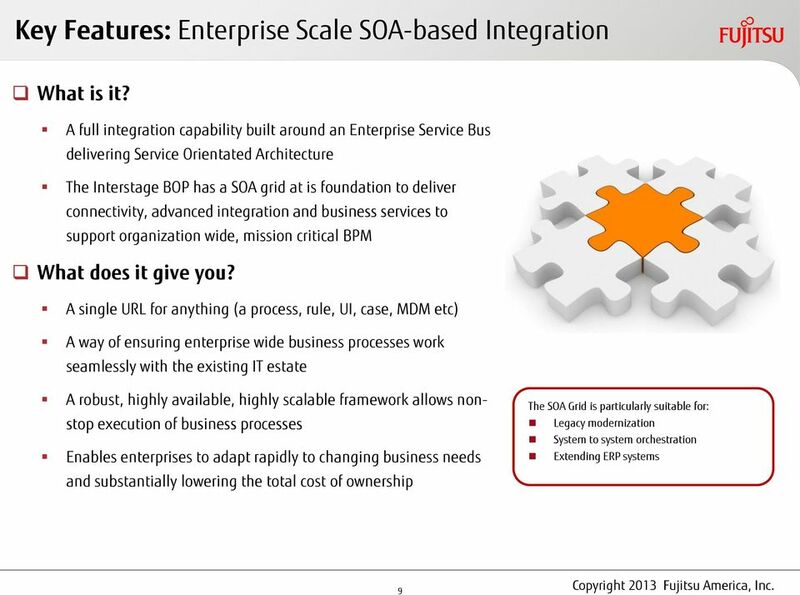 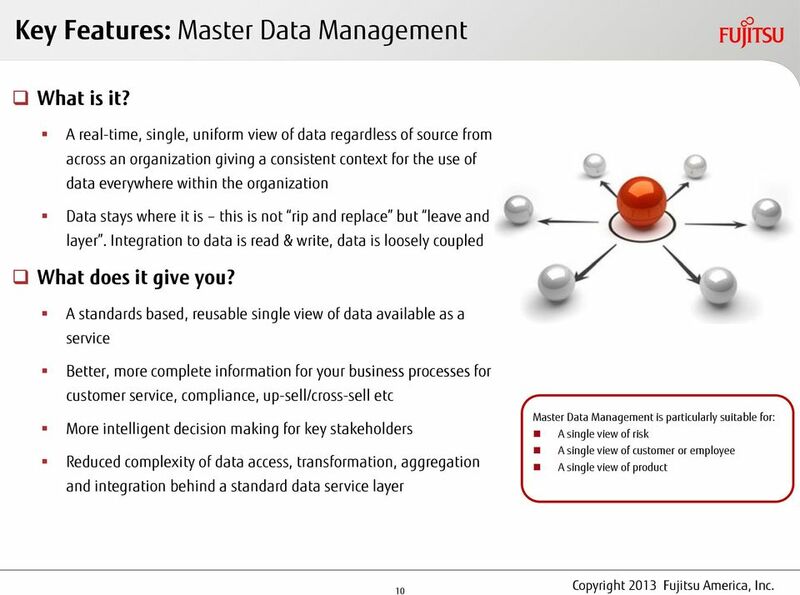 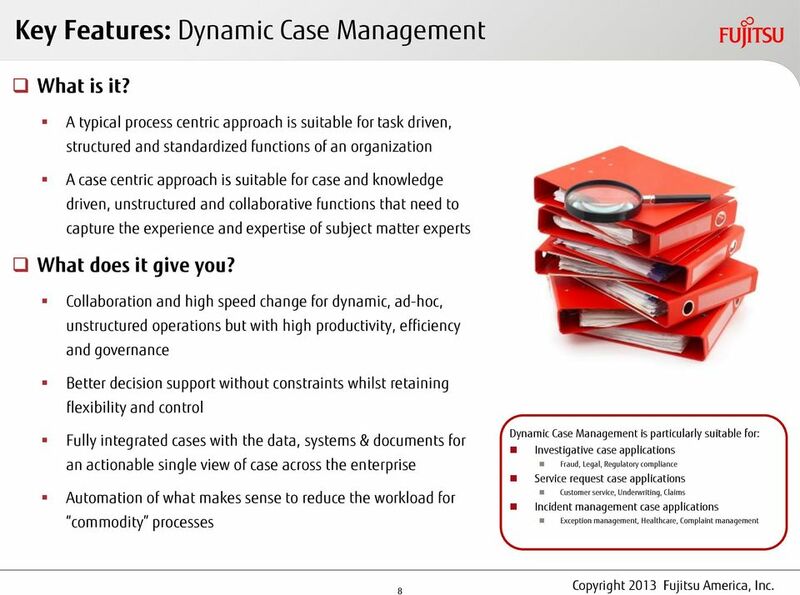 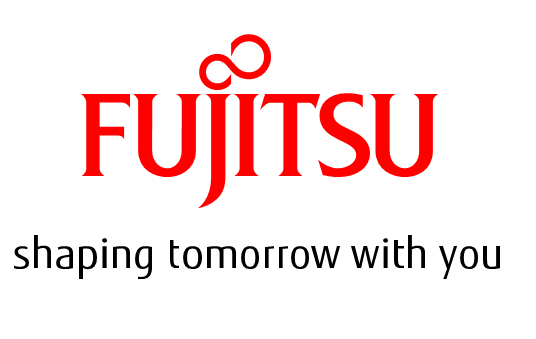 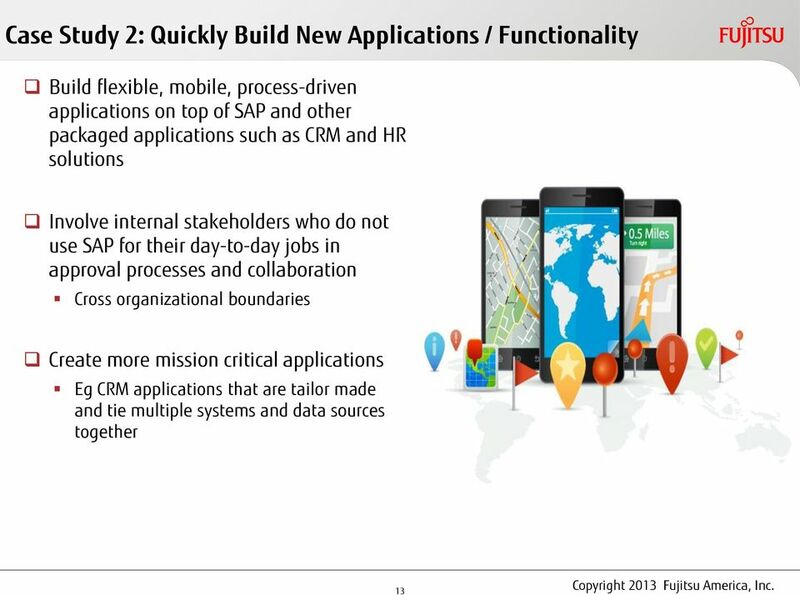 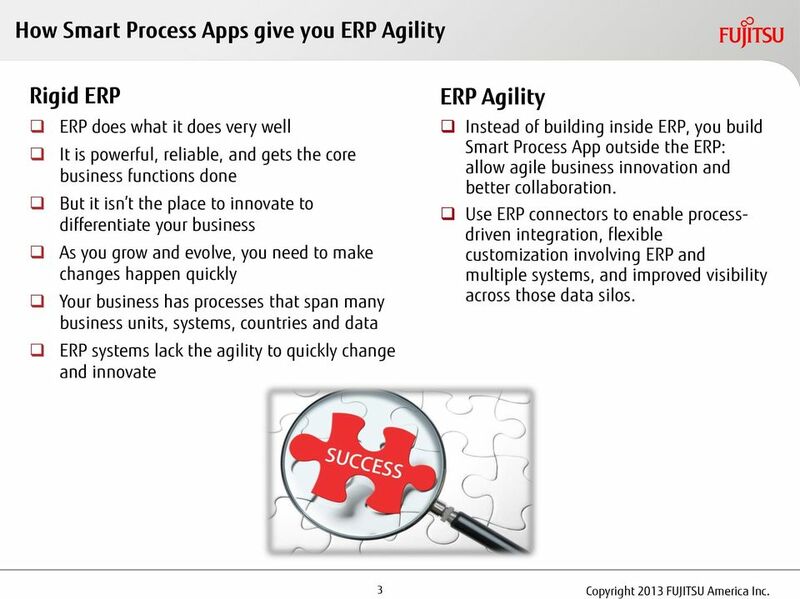 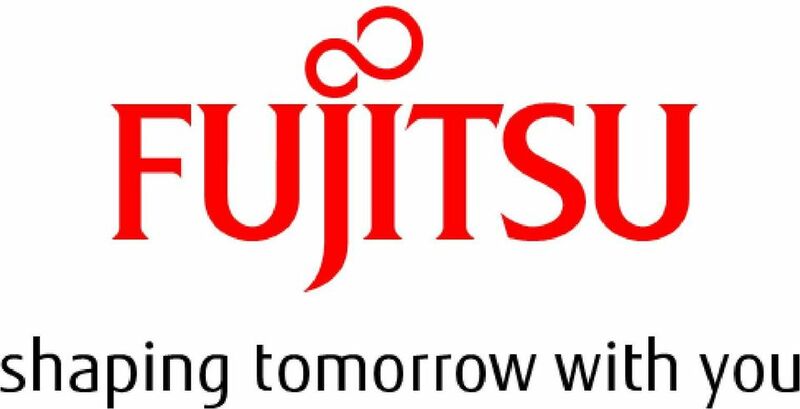 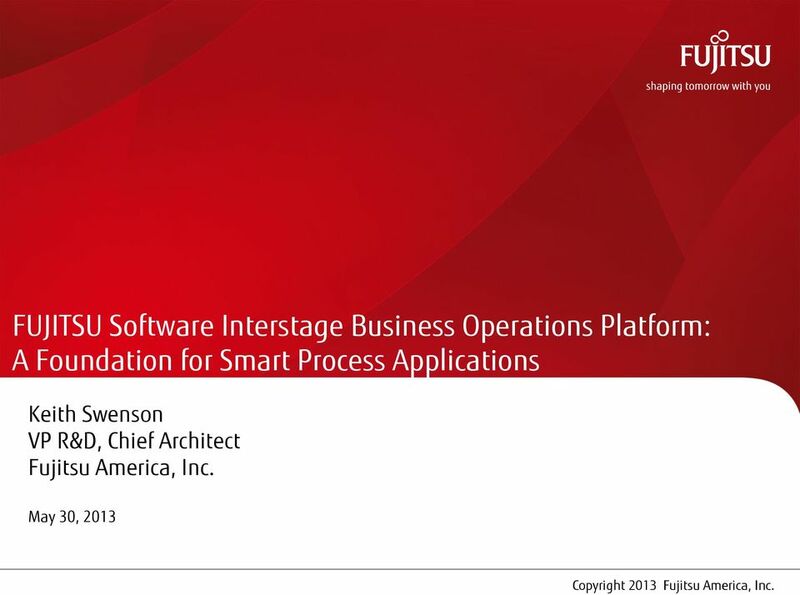 Download "FUJITSU Software Interstage Business Operations Platform: A Foundation for Smart Process Applications"
3 How Smart Process Apps give you ERP Agility Rigid ERP ERP does what it does very well It is powerful, reliable, and gets the core business functions done But it isn t the place to innovate to differentiate your business As you grow and evolve, you need to make changes happen quickly Your business has processes that span many business units, systems, countries and data ERP systems lack the agility to quickly change and innovate ERP Agility Instead of building inside ERP, you build Smart Process App outside the ERP: allow agile business innovation and better collaboration. 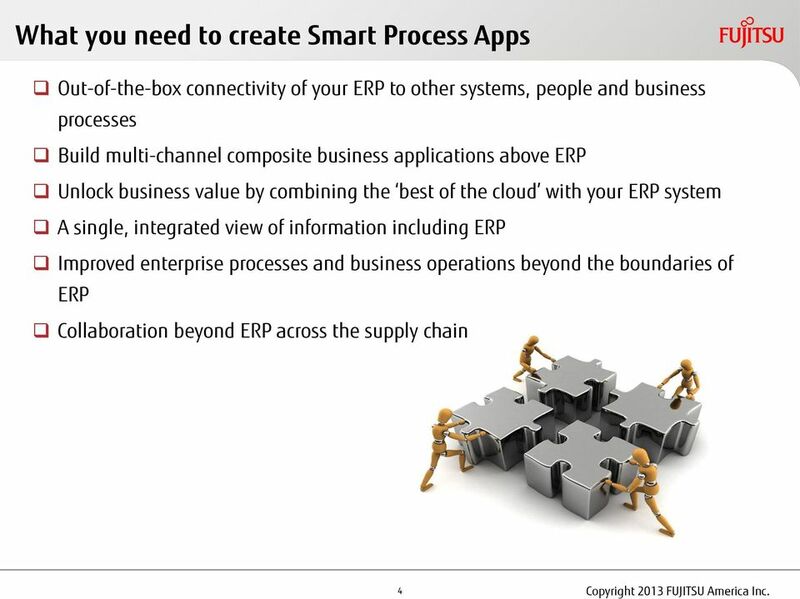 Use ERP connectors to enable processdriven integration, flexible customization involving ERP and multiple systems, and improved visibility across those data silos. 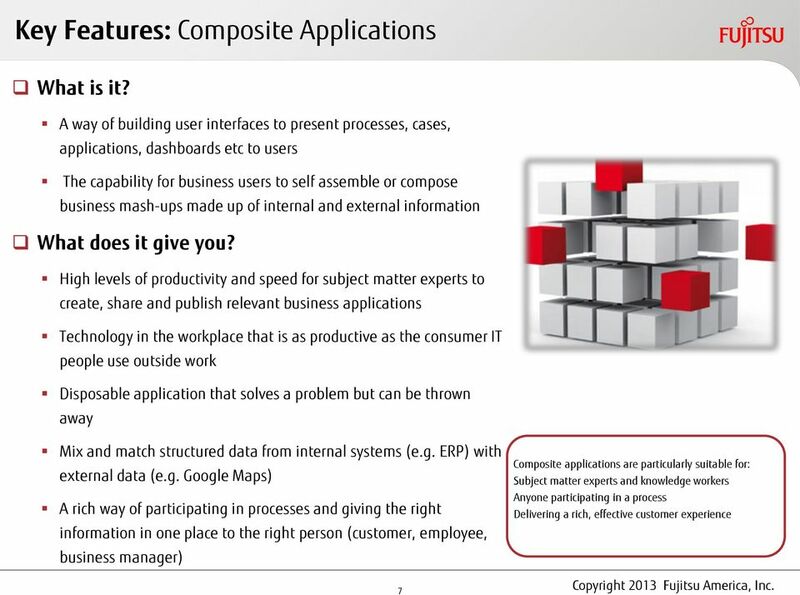 3 Copyright 2013 FUJITSU America Inc.
4 What you need to create Smart Process Apps Out-of-the-box connectivity of your ERP to other systems, people and business processes Build multi-channel composite business applications above ERP Unlock business value by combining the best of the cloud with your ERP system A single, integrated view of information including ERP Improved enterprise processes and business operations beyond the boundaries of ERP Collaboration beyond ERP across the supply chain 4 Copyright 2013 FUJITSU America Inc.
IBM 2010 校 园 蓝 色 加 油 站 之. 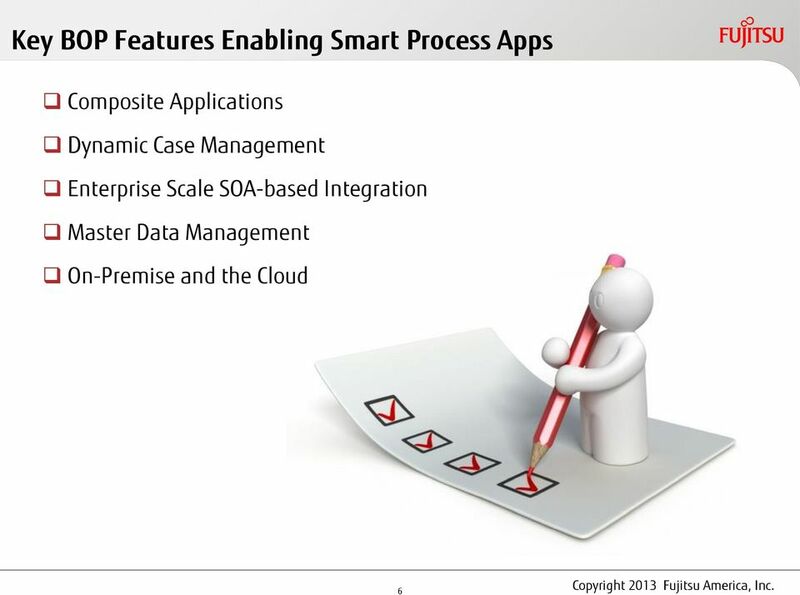 商 业 流 程 分 析 与 优 化 - Business Process Management and Optimization. 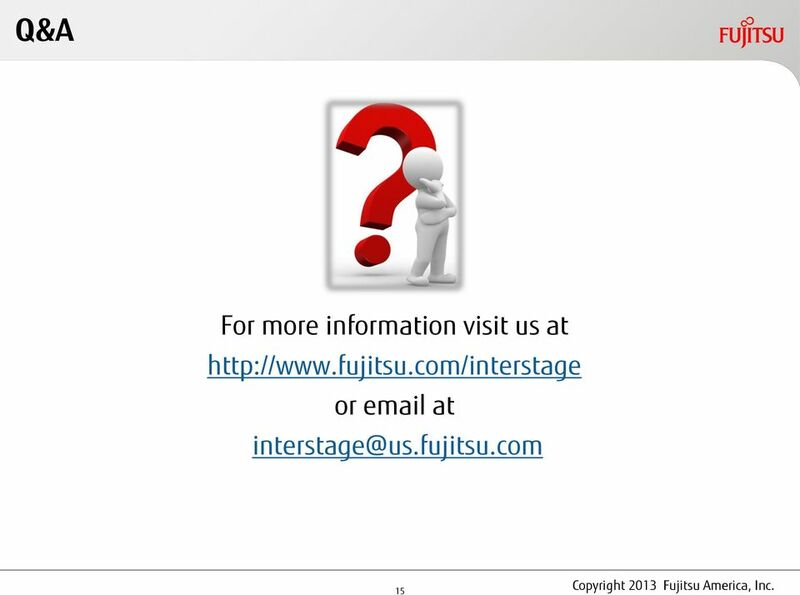 Please input BU name. 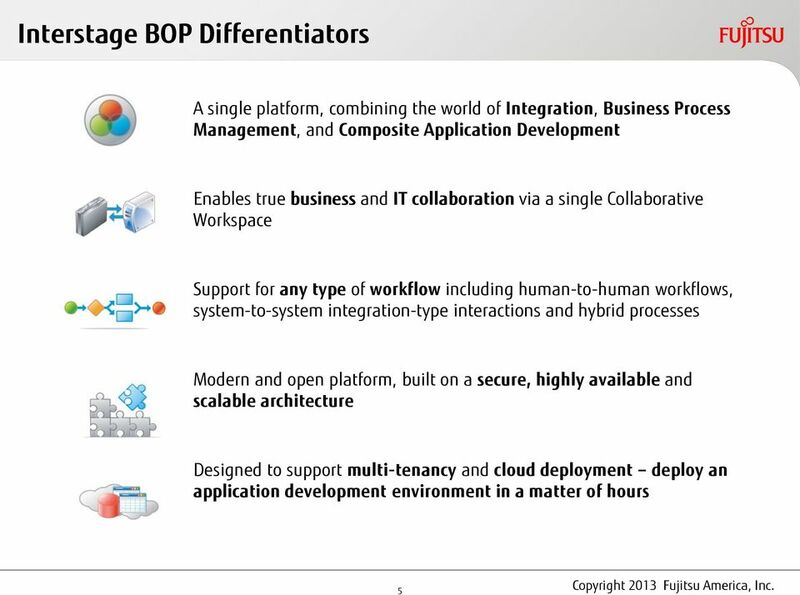 Hua Cheng chenghua@cn.ibm. 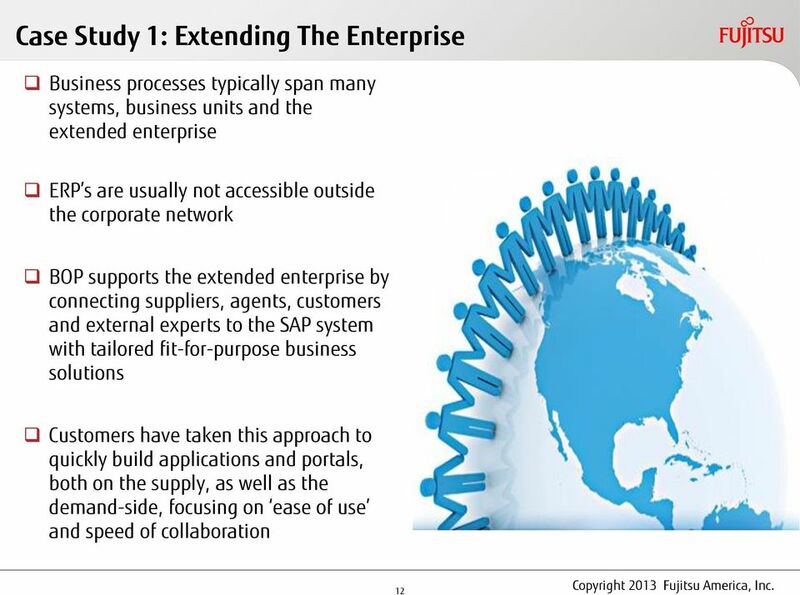 WHITE PAPER Business Process Management: The Super Glue for Social Media, Mobile, Analytics and Cloud (SMAC) enabled enterprises? 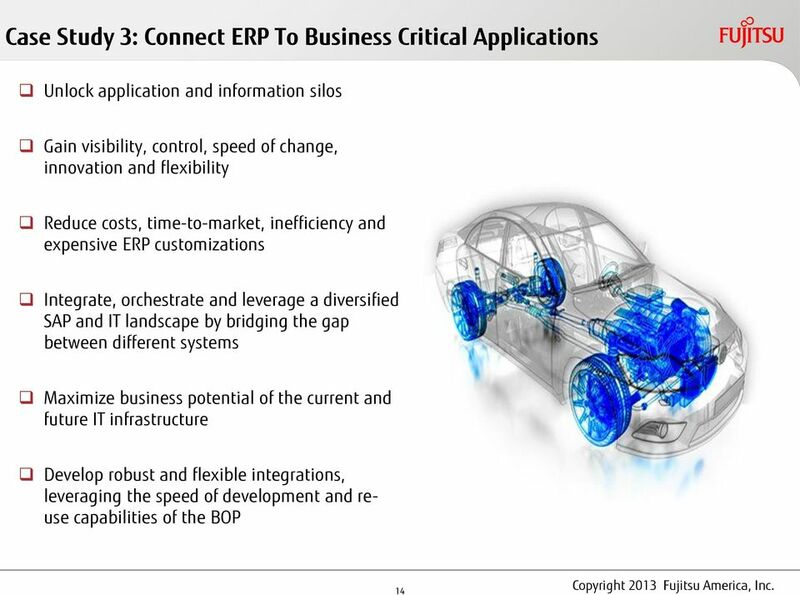 Innovate automotive design and improve productivity, sales and services to grow and reach new markets. 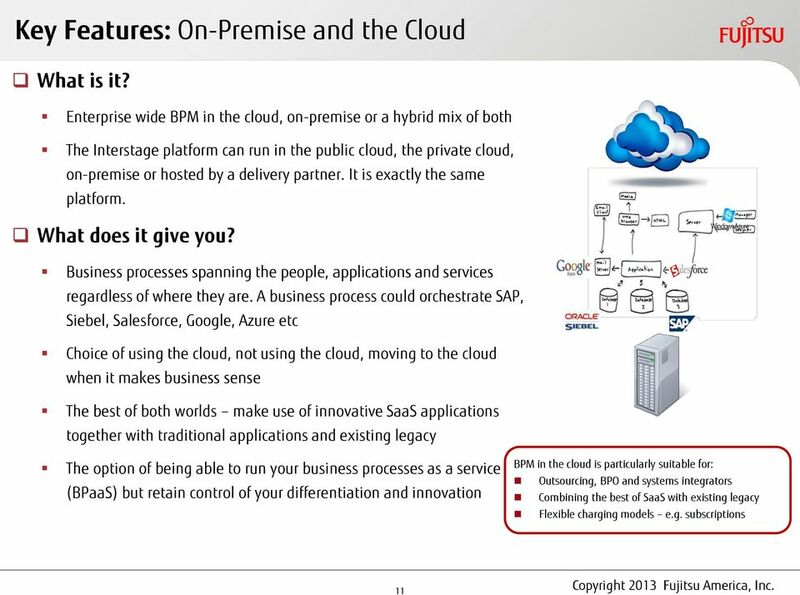 The cloud that s built for your business. 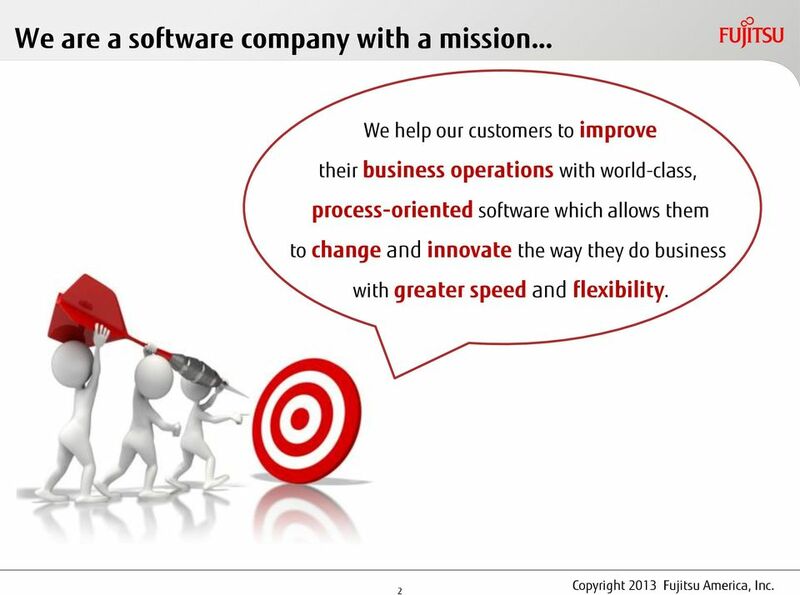 Innovation Simplicity Customer Experience Comprehensive software solutions for insurance Let our targeted solutions improve your margins and increase user engagement, throughout the insurance value chain.